The 17th Biennale of Sydney showcased new and recent works by Australian and international artists at Sydney’s leading cultural institutions, contemporary art spaces and heritage sites. Venues included Cockatoo Island, Pier 2/3, Museum of Contemporary Art, Sydney Opera House, Royal Botanic Gardens, Artspace and the Art Gallery NSW (Grand Court). 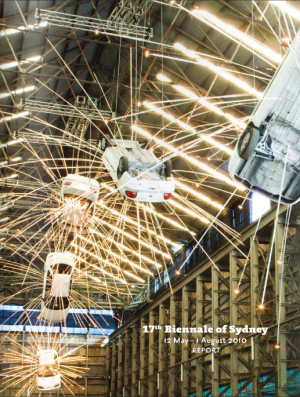 Read the 17th Biennale of Sydney (2010) Exhibition Report online on ISSUU.